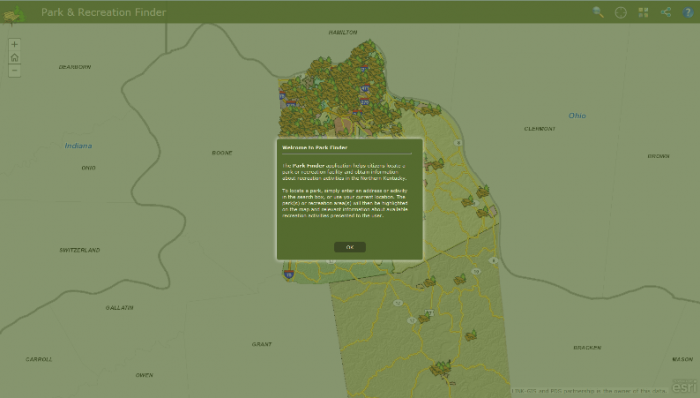 When the Park Finder map viewer is first loaded, a disclaimer screen will appear in the center of the screen. You must click OK on this disclaimer to interact further with the website. This disclaimer will appear whether you load the viewer from a link, type the URL into the browser’s address bar, or use the search from the linkgis.org homepage. Once you click OK the disclaimer will disappear and tools will become active.